Hi beauties, here I am with a distressed denim dungaree and a crop sweater, a fresh and casual mix which I have completed with the touch of special accesories as my animal print lace heels and my rose gold watch with blue sphere. I hope you like it! 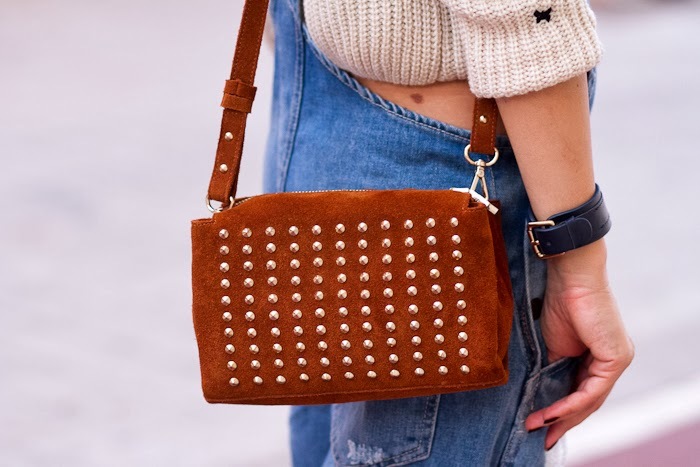 Hola guap@s, hoy os traigo otro outfit con un peto denim roto combinado con un jersey corto, una mezcla casual que he completado con el toque especial de los accesorios como son las sandalias de cordones y estampado animal y el reloj en acero rosado y esfera azul.Espero que os guste. bua! lo petas nena! un abrazoo!! Wow, nice outfit! I love the shoes and watch. 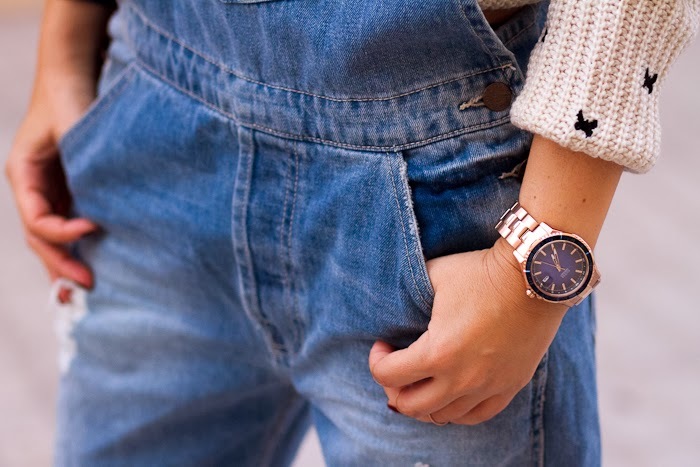 Love how you paired your dungarees with the sweater. By the way lovely print on the sweater. Me encanta el peto! queda genial con el jersey. Un look muy original con prendas de varias temporadas, normal en el entretiempo y los cambios de temperatura entre el día y la tarde-noche. WOW!!! I love your Dungarees and your Sandals are a dream! Amazing dungarees. And the sweater so cute! Love this look...you look perfect!! !